Please click on the button below and enter your information and deposit amount. A 3.5% surcharge applies to all credit card transactions. This hunt is on a Private ranch –which is literally next door to the ranch that we have sold many depredation hunts for. The area simply has an overabundance of elk. 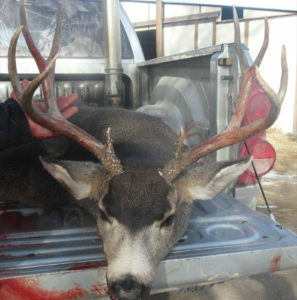 You will be hunting a private ranch, and we sell the ranchers depredation elk hunts for them. WE DO NOT, AND CANNOT SELL THE VOUCHERS. They must be given directly to you by the rancher; but we do sell you the guided hunt. 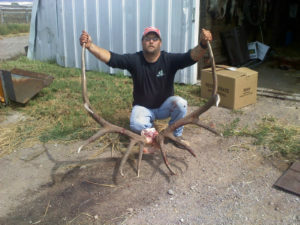 We normally expect our clients to kill solid 5X5’s and 6X6’s on this hunt. Most will be typical Colorado bulls averaging in the 250 to 290 range. Good respectable trophies, but not giants. The rancher tells us they see every year several bulls that might push into the 300 plus class. However- please do not purchase this hunt thinking you will kill one of those rare birds! You might, but only if lady luck smiles on you. However we have been running close to 100% success on good solid bulls on the September voucher hunts. WE do not offer late season voucher hunts. And you can rifle hunt in September before anyone else has an open rifle season!! Or do bow or muzzleloader-your choice. Awesome opportunity and very unique! This is a private land hunt- with a voucher supplied directly to you by the landowner. That means the rancher must deliver the voucher directly into your hands. You are not paying for the voucher. You simply buy the guided hunt. You must still purchase the Colorado Elk license at about $629 plus the $10 conservation stamp. You can secure 1X1 guiding for an extra $500. We seldom get chances to secure hunts on this ranch as she gets repeat guys who scoop them up. But she is reliable, and her depredation September hunts have been 100% successful over the last several years. This is a 5 day hunt. They call it guided 2X1, but it is loosely done, with plenty of personal freedom. Ranch is approx. 8,000 private acres. This hunt is best taken early,then you get the full benefit of the voucher. We like a September rifle hunt, when no other gun seasons are open. Bulls are feeding in the meadows and very vocal. In September of 2016 the rancher sent us pictures of huge herds of elk. 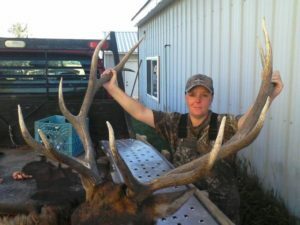 One evening she counted over 200 head, with about 30 bulls in the herd, of which she felt 10 were clearly shooters as mature bulls. Our first Sept 2016 hunter tagged out in just over 1 day with a nice 6×6. Our second hunter tagged out the afternoon BEFORE his hunt was supposed to start!! Elk were seen as he unpacked, and he never finished unpacking! You can also hunt later- and in 2015 the biggest bull was taken around Thanksgiving, after all other gun seasons had closed. But the Bulls needed forage for the winter, and had returned to the alfalfa and meadows. The depredation hunts here have normally had 100% shooting opportunity if weather cooperates. Virtually no pressure here in September. Our three elk hunters in 2015 killed two nice bulls, while the third guy passed a number of them looking for a giant. Good home cooked dinners are the rule, and of course lodging is included. Comfortable, but not fancy. And again- no competition here- only a very few depredation hunters each year!! Usually 3 to 6!! The ranch does do some regular season hunts as well, but we they are booked years in advance by several groups. So we do not sell those. PRICE : $5,995 2×1. 1×1 ADD $500. Includes guiding, meals and lodging. License is extra. Also, the rancher has recently been getting some antelope vouchers which can be combined so you get to hunt BOTH elk and antelope! Elk early and late in the day, and antelope in between! Take two trophies home. Antelope usually open for the first week of October, so elk hunting is good then too- in 2016 that week had bulls screaming all night long! Our antelope guys filled in one day. Pricing below. ANTELOPE HUNTS- In 2015 DOW authorized her some antelope vouchers and we were able to sell several successful antelope hunts. Again she gives the hunters the vouchers at no cost and directly to them. You pay only for the hunt. Price is $2495; 2X1; 3 days semi-guided. 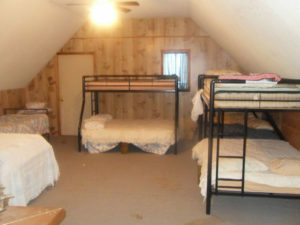 Meals and lodging included. Expect un-hunted 13” to 14.5” goats. 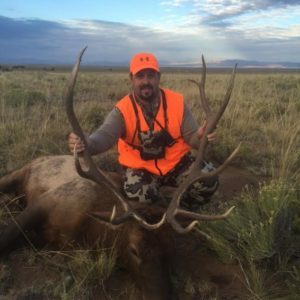 COLORADO PRIVATE LAND ELK AND ANTELOPE COMBO HUNT SPECIAL: SAVE $500! This is a very unique situation. 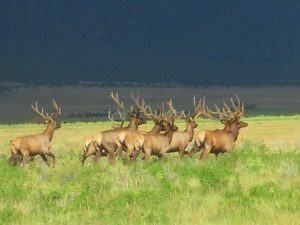 The rancher has elk vouchers that allow the hunting of bulls with rifle in September and early October and into November. In September and early October this would normally be archery only season! Basically these are depredation elk and antelope vouchers as there are far too many of both in that unit. The rancher has been getting 5 depredation elk vouchers each year. That should continue for a while. Add to that hunt the fact that the rancher has two antelope tags for the ranch. Normally it takes 5 to 7 years to draw an antelope tag in this area! But she has them – so no draw. The rancher will issue you the vouchers directly, and by using them –you them can buy your elk and antelope tags over the counter. We think 13” to 15” is realistic, and our hunters so far are tagging out in one day! 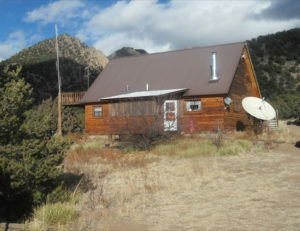 We are now offering a combination rifle elk and rifle antelope hunt on this private ranch for only $7995- instead of the normal $8490. ! You save $500! Just book it and you can go- no draws. ALL HUNTS ARE 2X1, AND INCLUDE GUIDING,MEALS AND LODGING. • Combination antelope/elk: October 4 -8, $7895. Save $500!! TWO only. NOTICE: HUNTERS BORN AFTER JAN 1, 1949 MUST CARRY AND HAVE COMPLETED A HUNTER SAFETY GUN COURSE — OR IF BOW HUNTING A BOW EDUCATION CLASS! Are You Allowed Into Canada With A Criminal Record?